You might not realize that some of the following signs are symptoms of your pet having allergies, but our pets can have different symptoms than we do. If you notice any of these symptoms, give your veterinarian a call. Allergies can make your dog or cat itchy so that telltale scratching can be a sign of allergies. However, certain pests can also make your pet scratch their sides, ears or other parts. Itchy spots are sometimes called "hot spots." If your pet is licking and chewing any body part, it could be due to allergies. The paws are a common area; although, any body part they can reach could be a target and become raw from licking. Allergies can manifest in any number of dermatology problems. Redness, scabs or moisture are common if your pet has allergies. If you see a rash or other signs of irritation, call your vet. Loss of fur in your pet might be a sign of allergies, even if he or she isn't scratching. Just like allergies might make your eyes itch and run, so, too, can allergies do the same for pets. This may accompany another common allergy symptom: sneezing. While people are not likely to vomit due to most allergies, pets are. A healthy pet shouldn't have watery stool, so diarrhea could be a symptom of an allergy. Not only can your pet's allergy cause their ears to itch, but it can give them infections that may require treatment. If your pet has an inflamed throat from allergies, they might snore. Your pet can be allergic to a medication, food or treats, pests such as fleas, plants and grass, dust, mold, cleaning products, cigarette smoke, and even other pets. Consider any recent changes in your pet's environment that might be causing allergies. 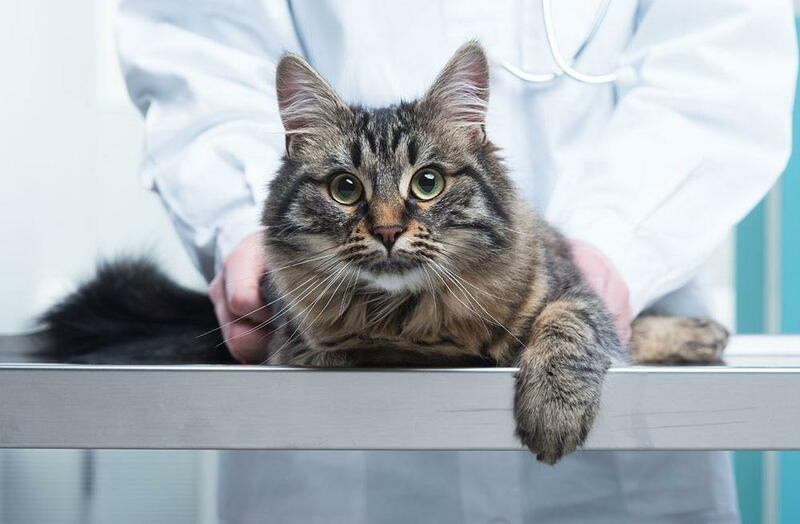 If you're worried about a possible allergy, contact Casillas Veterinary Hospitals serving Lynwood, Montebello, and East Los Angeles to make an appointment. Call our Lynwood office at (323)566-4177, our East LA office at (323)721-2244, and our Montebello office at (323) 726-1525 to schedule the diagnostic testing and skin care your beloved friend needs and deserves! There are no words that can fully express the gratitude your kindness deserves. The attention P.J. & Plato have received from you all over the years is priceless and your dedication to always going out of your way means a lot to our family. Thank you!" Thank you very much for all the years of great and thoughtful service from yourself and your helpful staff. I appreciate your generosity and kindness when treating my pets. This is why I always recommend everyone to your office because you guys are the best, thank you."